Panda Cloud Office Protection is light, secure and easy-to-use solution for workstations, laptops and servers that allows companies to forget about antivirus. It guarantees maximum, hands-free and 24/7 real-time protection against all types of malware and network attacks, while optimizing cost and productivity. Relocating management tools in cloud, provides the opportunity for almost immediate implementation and completely transparent update, while the Web console provides very easy control, from anywhere, any time 24/7. 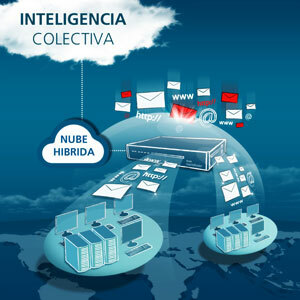 Collective Intelligence Panda Security is a platform which is highly flexible and it automates collection, classification and detection of malware. The knowledge generated through the platform is transferred to the solutions offered by Panda Security in real time, dramatically increasing protection capacity while reducing resources consumption of local computer to a minimum. All these qualities makes Panda Cloud Office Protection ideal solution for your company. Thanks to the excellent coopertaion, Data Solutions d.o.o. has became distributor for Panda AV solutions in Serbia.